With the holiday season in full swing, it's a great time to celebrate the people who make this time of year so special. In the spirit of the season, we are hosting an alumni party for old friends and new to get together and spread holiday cheer. Come and join us at Nashville, now located at Aloha Tower, on Dec. 21 from 5:30-7 p.m. There will be food, fun, and a few familiar faces. 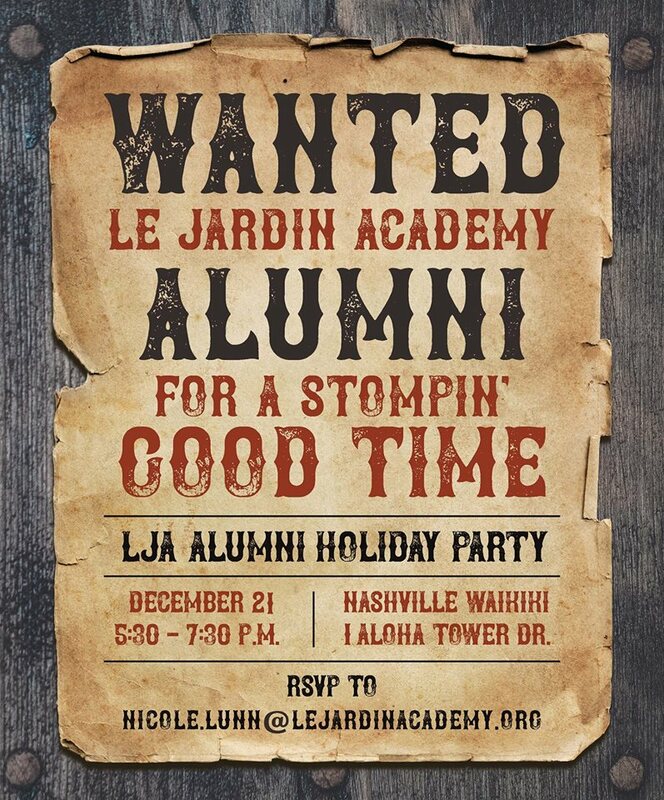 To RSVP, send me an email at nicole.lunn@lejardinacademy.org. 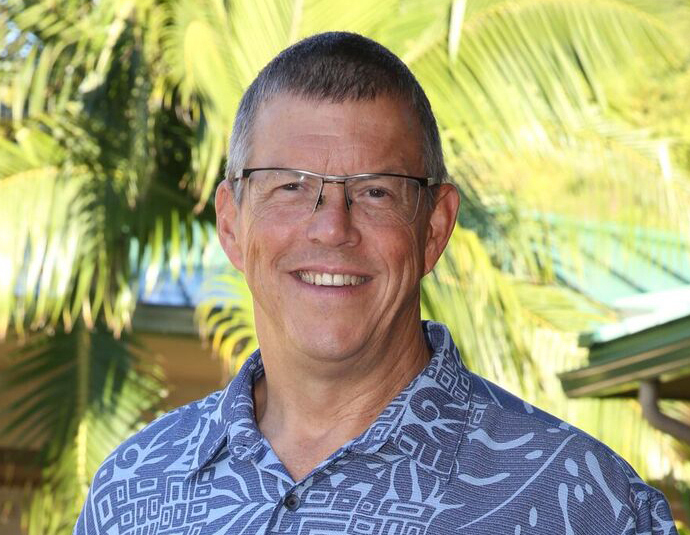 After considerable reflection, Head of School D.J. Condon has decided to move back to his home in Wisconsin at the end the 2019-20 school year to be closer to family and pursue long-held personal interests. The Board of Trustees has initiated the search process for D.J. 's successor. The Board has secured the professional services of Search Associates to assist the school in this process. Collectively, the Board of Trustees, the Board Search Committee, and Search Associates are confident that they'll have a highly-qualified successor in place given the ample lead time. 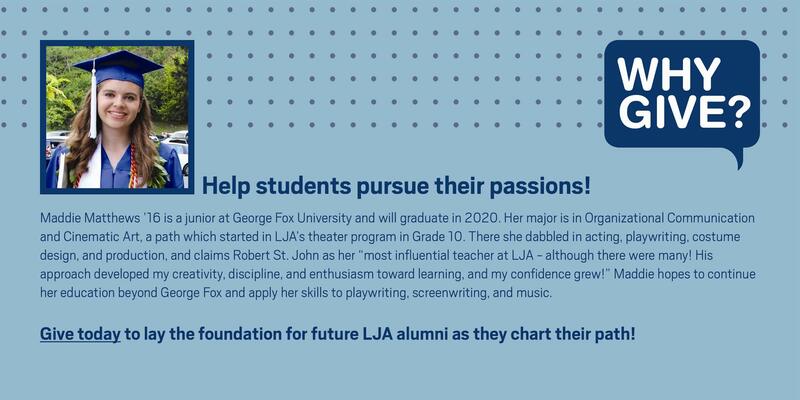 It is the Board's priority to involve the LJA community within this search. There will be opportunities for students, parents, faculty, staff and administrators to provide input throughout this process. The school will keep our community informed of our progress. Middle and High School science teacher Katie Brown was a guest star on Science Friday. Katie, a 2018 SciFri Educator Collaborator, spoke with host Ira Flatow about the Educator Collaborative that brought together a cohort of teachers from around the United States to produce curriculum tying STEM education to current scientific research highlighted on their Science Friday radio program. Christina Hoe, LJA's Associate Director of Experiential Learning and a classroom teacher for many years, was recently selected by Mahie Wilhelm '18 to receive the Stanford University Teacher Tribute. Students from Stanford University's incoming freshman class were given the opportunity to formally acknowledge an educator who played a significant role in their intellectual, academic, and personal development.